When you breathe in, the small bits of crystalline silica create tiny cuts in your lungs. These make you more susceptible to respiratory diseases like tuberculosis. They also cause scar tissue to build up in your lungs, making it difficult for them to function correctly. This can cause shortness of breath and irritation of the nose, throat and lungs. If exposed for longer periods, side effects can include respiratory failure and death. 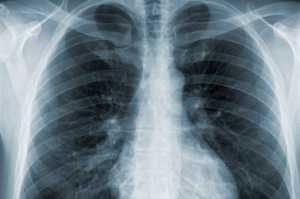 The consequences of chronic silicosis can be dire, even fatal. If you believe you are suffering from this disease, please consult a doctor immediately.